PYEONGCHANG, South Korea — It takes courage to go big on a snowboard in the halfpipe, a willingness to commit to the point it can scare even those who’ve spent their lives riding the pipe. 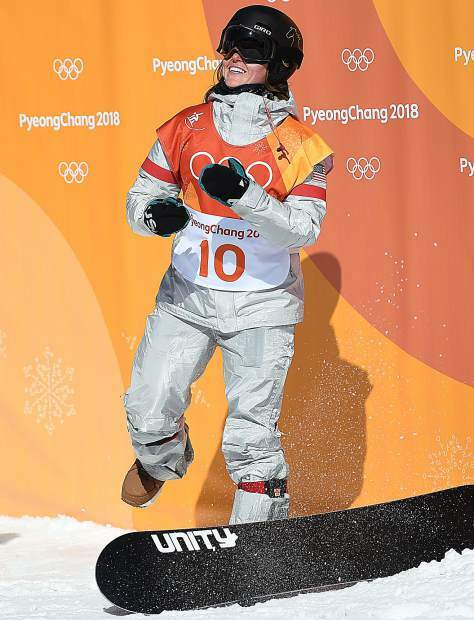 Tuesday, Feb. 13, Gold was mired in fourth place after landing a clean run on her second attempt in the halfpipe finals at Phoenix Snow Park in Pyeongchang, South Korea. Gold struck on what was a huge day for the U.S. women in the halfpipe. Chloe Kim, the Americans’ 17-year-old snowboarding phenom, won the event with a stratospheric score of 98.25. China’s Jiayu Liu won silver at 89.75 and Gold, who grew up and into a world-class snowboarder in Steamboat Springs, took bronze at 85.75.